The view from Redmond: Microsoft president Brad Smith talked about all the ways his company's long antitrust battle, beginning in the late '90s, hurt the company in subsequent decades. Smith said the legal siege distracted the company's leaders, potentially causing the company to miss search and other big trends. Years later, the rules the government laid down for Microsoft hampered the company in future battles with iOS and Android. Microsoft took a stubborn hard line against the threat of government oversight. It might have fared better, Smith said, to try to work with regulators rather than fight in court: "You have to solve problems when they are small enough to be solved." One of the hard lessons for tech companies that believe in their missions, he said, is that the rest of the world sees you differently: "They don’t think you re quite as good looking as you thought you were." The bottom line, per Smith: " If you create technology that changes the world, the world is going to want to govern you." Evan Spiegel, CEO of Snapchat, Facebook's rival social network, offered some insights of his own. While Facebook has been able to copy some of his company's products, Spiegel said that the company hasn't managed to incorporate its values (or, he quipped, modeled Snapchat's practice of not hanging on to user's data) . "They’ve changed their products and I think they’ve changed their mission, but fundamentally they are having trouble changing the DNA of their company.... As time goes on, I think it will become more and more clear that values are hard to copy." Ad sales fuel Facebook's hunger for user data. 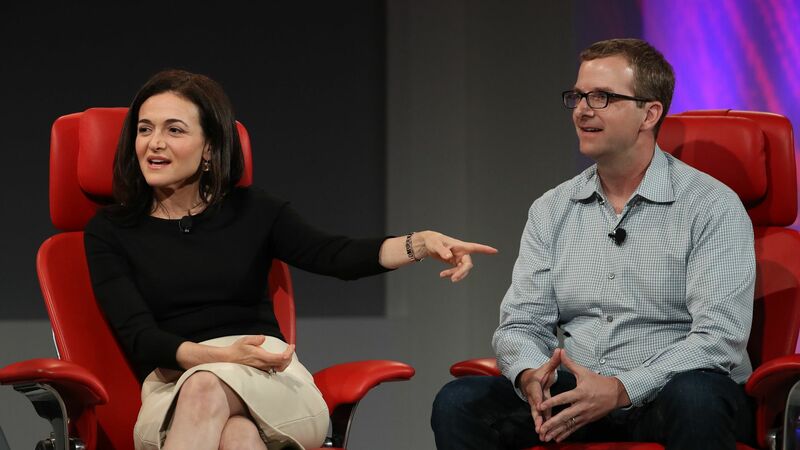 Asked whether Facebook would ever offer users a paid service as an alternative to its advertising model, Sandberg said: "We've looked at subscriptions and we will continue to look at them. We are committed to providing a free service. We're looking. We've always looked. But the heart of the service is a free service."